This event is only for parent and child. You can learn how to make Japanese sweets “Wagashi” not only how to make a Matcha! And it will be fun to eat your handmade Wagashi and drink Matcha made by yourself at traditional Japanese tea room. It will be great experience that you can learn both of making tea and sweets. The owner of famous Japanese tea hop in a long-established “NIWA Chaho ” at Nakatsu city in Oita prefecture. And he is 5th generation family business owner. And he opened cafe in Nakatsu city. The owner of famous Wagashi shop in a long-established “TAKOSHOGETSU” at Yanagibashi rengoichiba in Fukuoka. And he is 4th generation family business owner. Fukuoka City Subway Kuko Line: 7 minutes walk from Ohorikoen Station. ＊This is grant-aided event from “NATIONAL INST. FOR YOUTH EDUCATION” for holding the participation fee down to low. 5. 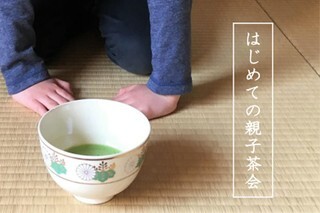 Please mention the event name "The first trial tea ceremony" and which session you would like to attend in your email. ＊Your reservation will be settled by confirmed transfer. ＊Please understand that payment will be by bank transfer in advance. If you cancel at least 3 days in advance of the day, there is no cancellation fee. If you cancel within 2 days in advance of the day or no shows, we have to charge you a cancellation fee of 100%.